Make no mistake, we all love a good weekly tabletop roleplaying game, but from time to time I like to break the monotony with a boardgame. Here's a short list of some of my favorite games. A great mobile app adaptation. Plague Inc is a neat little game in which you are deadly pathogen and your goal is to wipe out the world. You evolve your pathogen as the game progresses and you soon begin to see how deadly you've really become. Easy to learn. Fun to play. 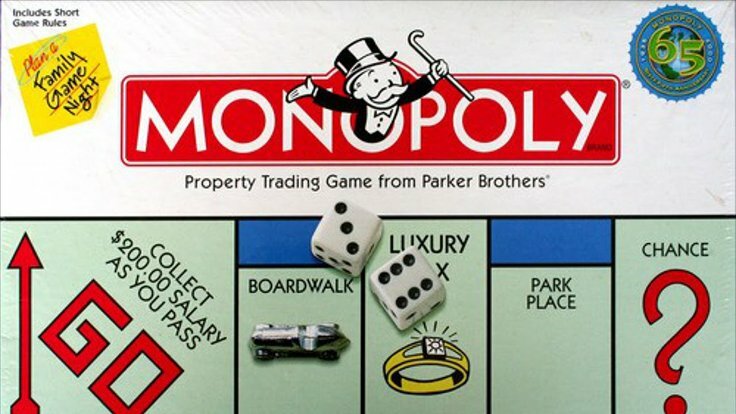 Everybody knows Monopoly. Hours of gameplay an the game where people play to screw you over. No collection is complete without it. WARNING: Friendships can be broken while playing this game. Don't get too attached to your characters in Kingdom Death: Monster because they won't last long. Trust me. There are RPG aspects of the game like having to make choices as a community that affect the story. One of the more interesting choices is either choosing to eat or bury the dead. KDM, possibly the most metal board game I've played in a long time. The storyline is well written and the miniatures are highly detailed pieces of art. One of my current favorite games to play. Although technically a card game and not a board game, Sentinels of the Multiverse is possibly one of my favorite games of all time. Gather a group of up to 5 friends, each select a comic-book style hero, then beat up on a chosen villain and environment. Pretty straightforward concept of play, but with hours of gameplay. Replayability of this game is extremely high. Heroquest is solely responsible for sparking my love for tabletop roleplaying games. I have many fond memories of foregoing Saturday morning cartoons to play this with my older brother and two cousins. It's possible that this also started my fascination with playing dwarven races because I played a dwarf rogue in this game. While the game mechanics don't hold up well by today's standards, I enjoy it simply for it's nostalgic factor. Well, there you have it; a list of my favorite games to play when I'm not gaming with my weekly Dungeons and Dragon's game group. Be sure to share with us what some of your favorite board games are. We'd love to hear from you. Oh and stay tuned. I come across a lot of treasures from time to time and I can't seem pass up on a deal so I may be able to do some sort of board game giveaway in the near future.